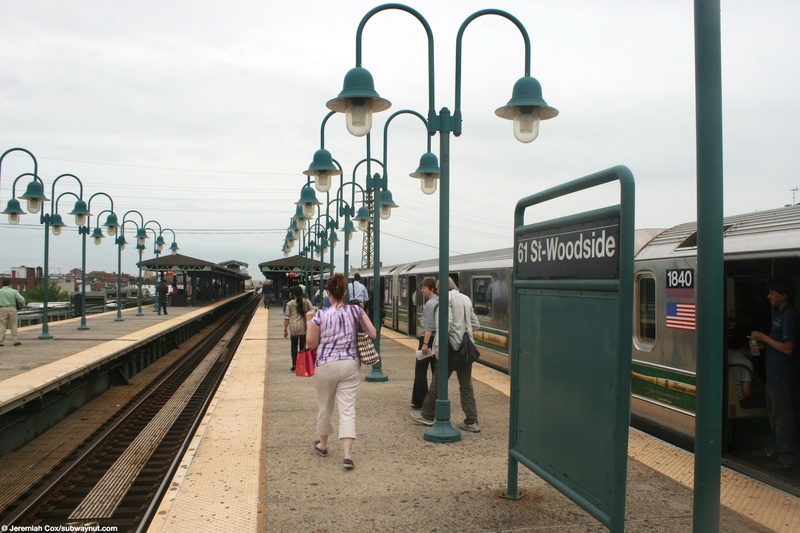 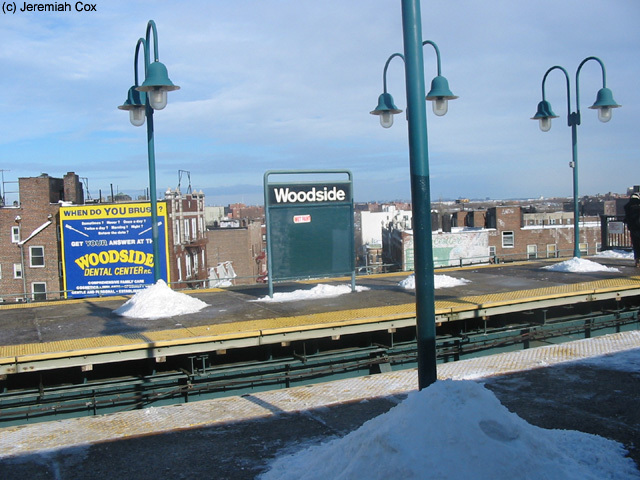 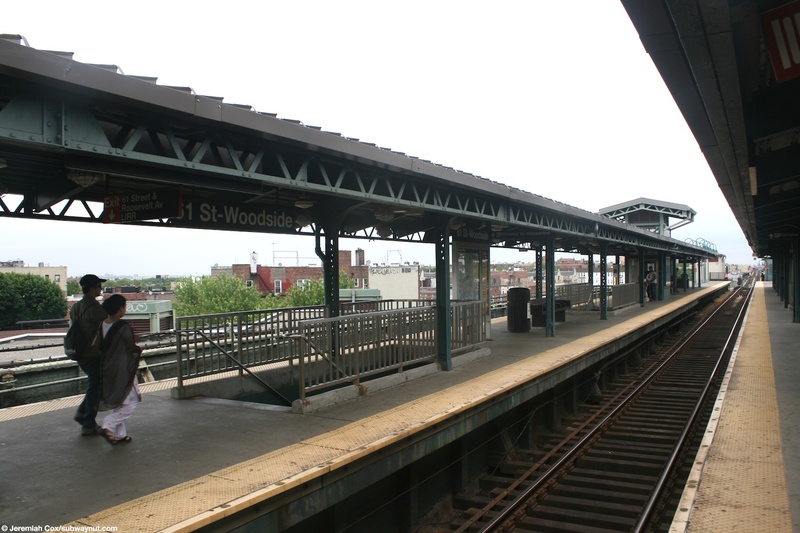 61 Street-Woodside is the first express station with two island platforms for the three-track line (express trains open their doors just for which direction there running in, during frequent GOs that requires all trains to run express in a particular direction express trains will often open their doors to the opposite platform so double-backing passengers can without having to use the mezzanine). 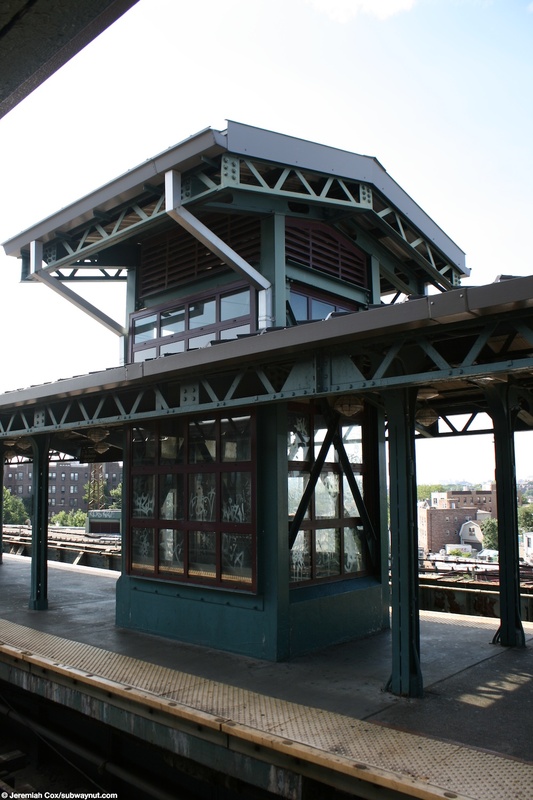 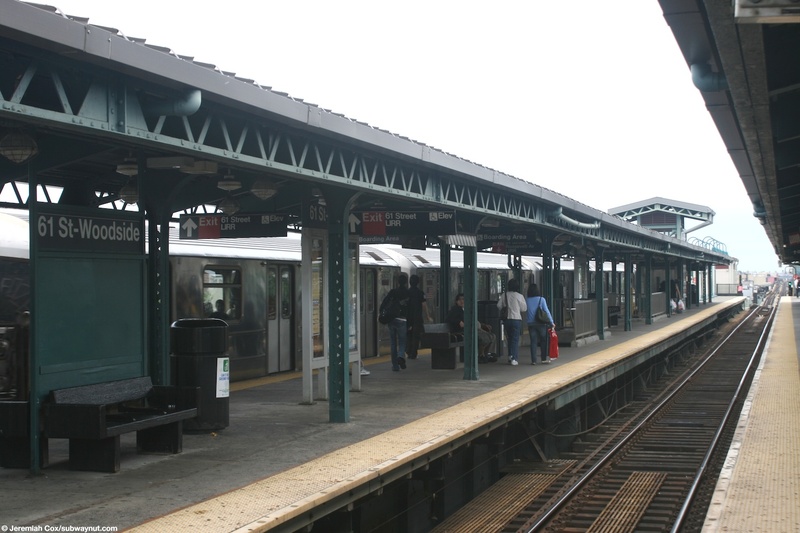 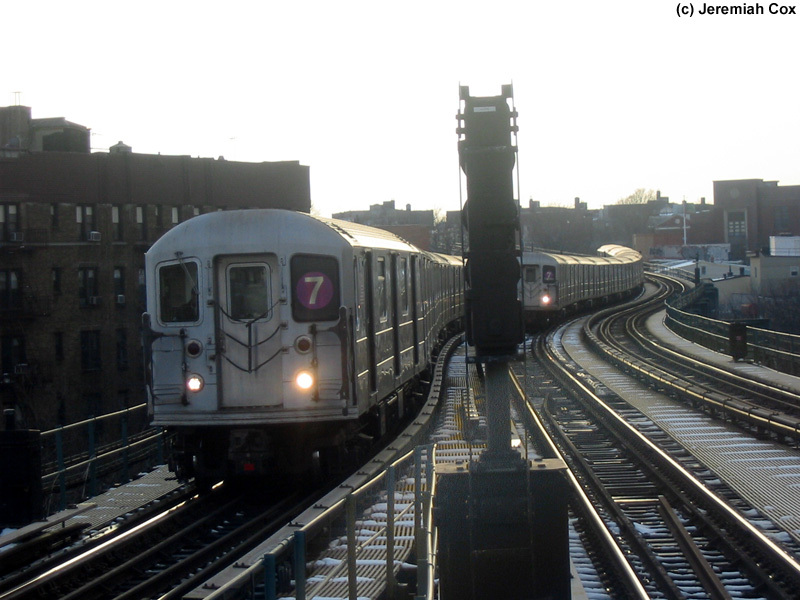 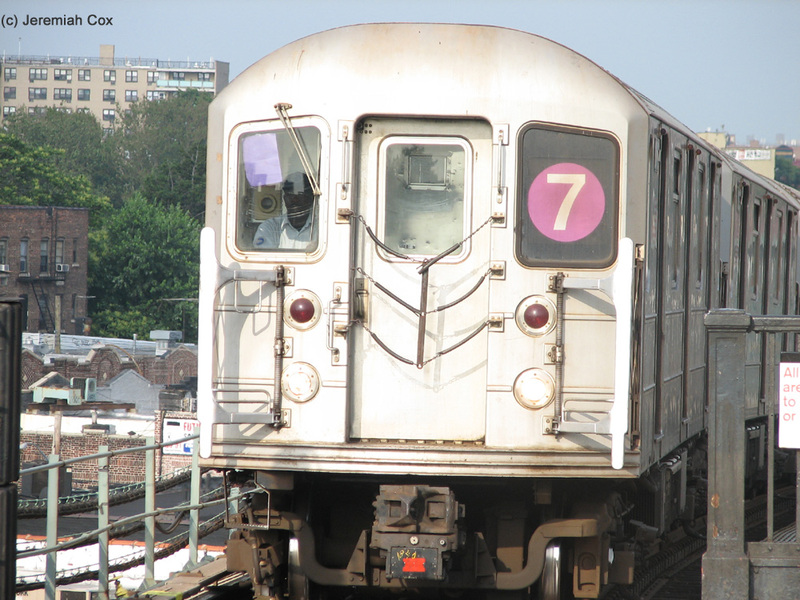 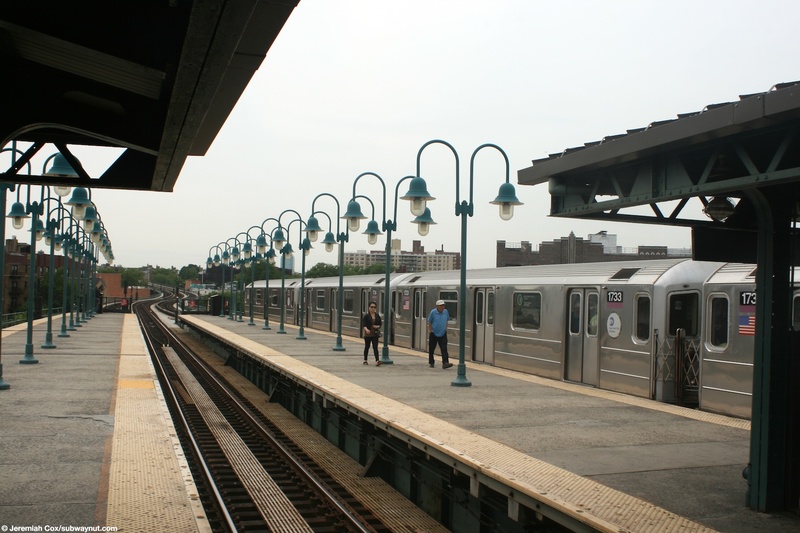 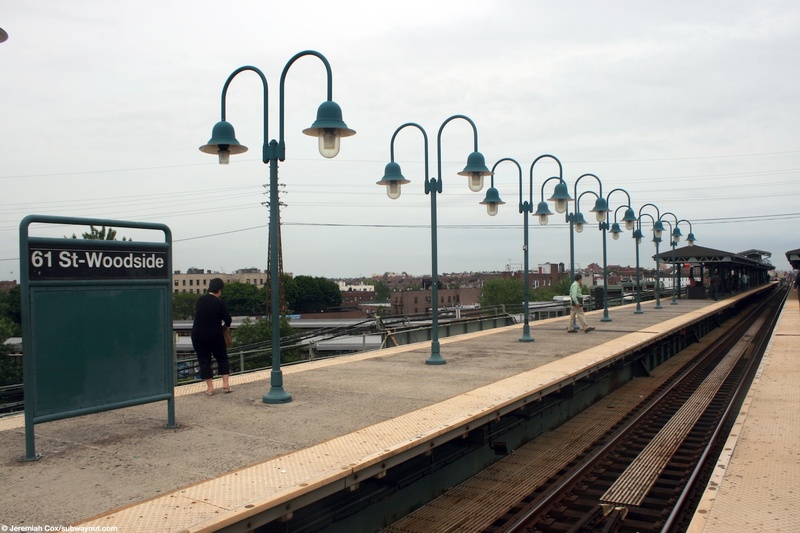 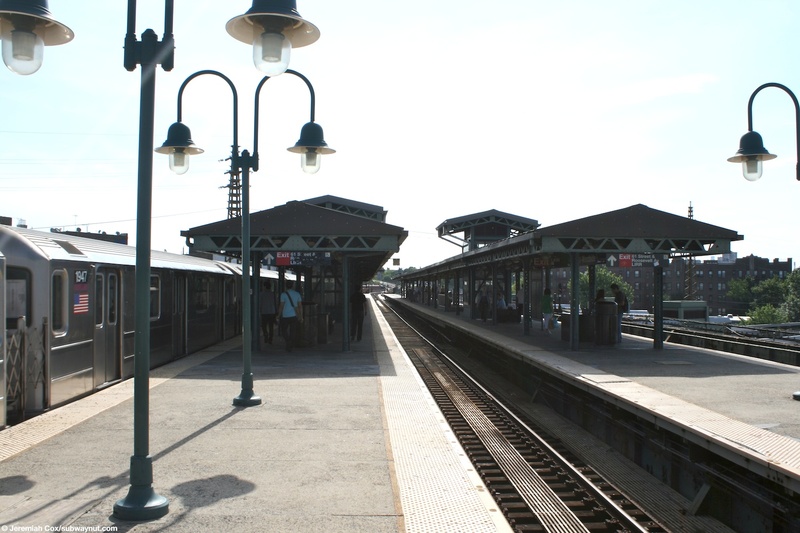 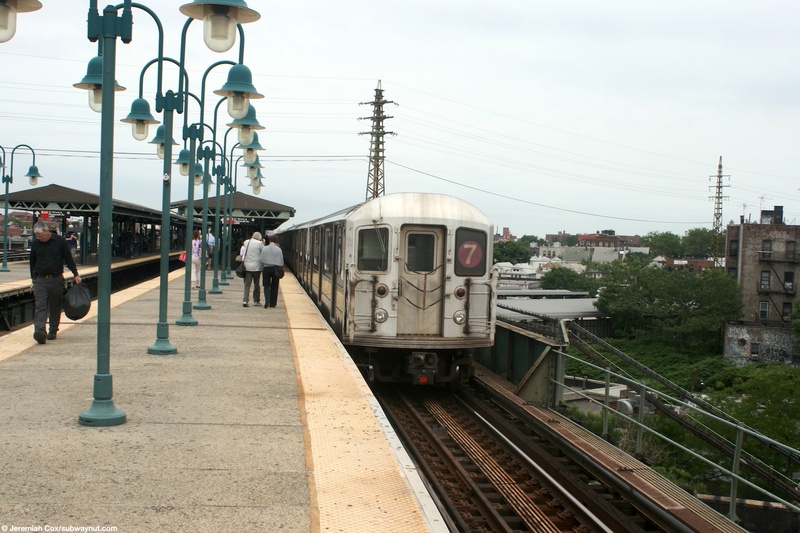 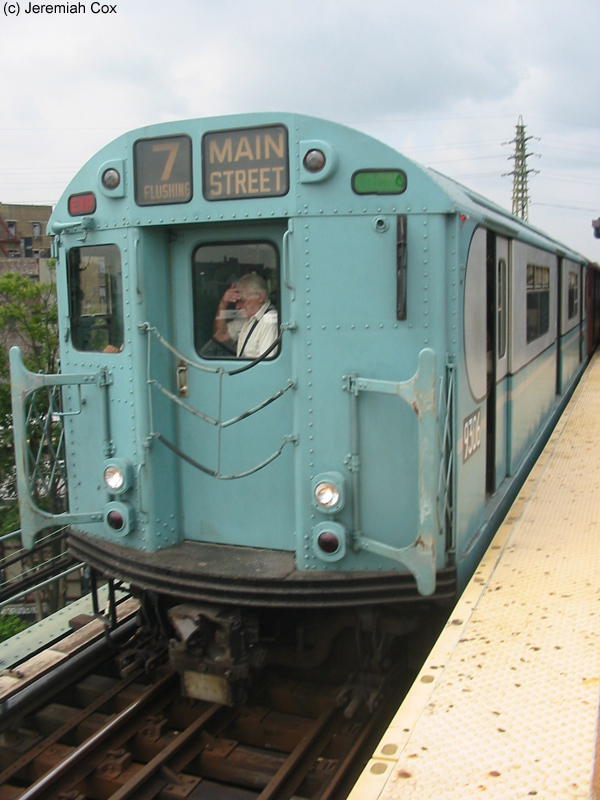 It is a high, elevated station located above the LIRR platforms for which both share a station house/mezzanine area nestled between them, street level is four stories below beneath the LIRR platforms. 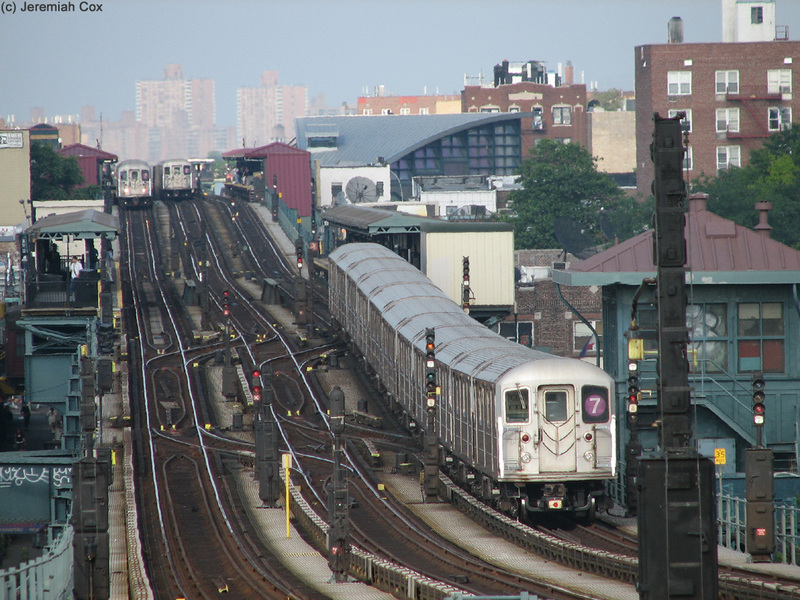 Trains go a noticeably bit uphill to reach the station. 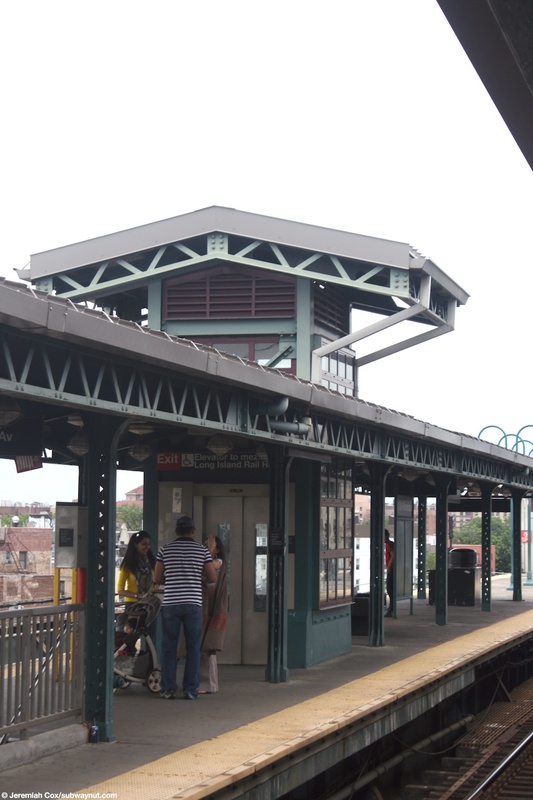 Both island platforms are simple and were renovated in the past ten years, each has a canopy over their mid-sections and two staircases and an elevator down from each platform to the communal mezzanine/station house (covered on its own page).